Being charged with or convicted of a Los Angeles DUI offense can trigger a number of collateral consequences for professionals who are required to maintain state licenses as part of their professions. Convictions will often trigger disciplinary action by the licensing agency. The Medical Board of California is particularly concerned with any criminal activity its members commit. 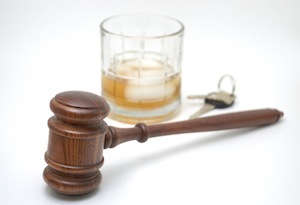 Driving Under the Influence offenses are criminal charges that attract special attention from the Medical Board. In addition to whatever criminal charges are assessed by the court as the result of a DUI conviction, administrative penalties may also be imposed under California Business and Professions Code Section 2239 BPC, which covers the excessive use of alcohol or drugs for doctors and physicians. Under this statute, the consumption of alcohol to the extent that it is dangerous or injurious to the licensee or the general public or if it impairs the licensee’s ability to safely practice medicine is considered unprofessional conduct that exposes the licensee to disciplinary action. Before 2007, the Medical Board rarely imposed disciplinary action against doctors for violations relating to drug or alcohol abuse. The Board offered its own diversion program that permitted physicians to receive treatment and avoid any negative action against their medical license. This changed after California implemented a more aggressive policy in regards to disciplining doctors who commit DUI offenses or other crimes related to potential alcohol or drug abuse. Generally, the Medical Board has a policy not to charge a violation of California Business and Professions Code Section 2239 BPC in response to a single DUI conviction. However, the Board may take action on a first time DUI offense if there are unusual circumstances surrounding the DUI offense or if there is anything that demonstrates an alcohol abuse issue or an issue with the physician’s ability to practice medicine. If the DUI incident involved significant property damage or injuries, the Board may view the violation as one “related to the practice of medicine” and thus could take action against the physician’s license. A second or subsequent DUI offense is automatically considered “unprofessional conduct” and would subject the licensee to discipline under the Medical Practice Act. A single felony DUI conviction would also lead to discipline from the Medical Board. DUI convictions are often used as grounds to discipline physicians and other medical healthcare professionals. In many cases, a DUI conviction can jeopardize a physician’s eligibility to be a MediCare or MediCal provider. In many instances a single DUI conviction can also lead to a medical healthcare professional losing his or her job or may prevent the medical professional from being considered for future positions or residency programs. A physician who has been charged with a DUI will also face criminal penalties in the court as well as an administrative driver’s license suspension issued by the Department of Motor Vehicles. A first time conviction for a DUI offense will usually require that the defendant complete an alcohol education program. The program for a first time offense is usually three months, however the class may be as long as nine months depending on the circumstances of the offense and the defendant’s blood alcohol content. The defendant would also be expected to pay substantial court fines and may have to complete other terms of probation, such as mandatory AA meetings, completion of the Hospital and Morgue (“HAM”) program or the MADD Victim Impact Panel (“VIP”). If the defendant was involved in a collision, he or she would have to pay restitution for any damages caused. This would be considered a condition of probation. If you are a currently a physician licensed by the Medical Board of California or are someone who will be applying for a medical license, it is absolutely critical that you consult with a Los Angeles DUI Lawyer right away. Attorney Michael Kraut is a former Deputy District Attorney with over 14 years of prosecutorial experience who knows how to effectively defend professionals who have been charged with DUI offenses. Mr. Kraut understands the potential collateral consequences that doctors and other healthcare professionals face as a result of conviction and works hard to ensure that his clients receive the most comprehensive defense possible. For more information about Los Angeles DUI and medical licenses, and to schedule your free consultation, contact Michael Kraut at the Kraut Law Group located at 6255 Sunset Boulevard, Suite 1480, Los Angeles, CA 90028. Mr. Kraut can be reached 24/7 at 888-334-6344 or 323-464-6453.